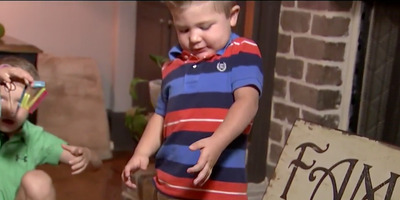 WSB-TVThree-year-old Carter Abernathy is among the nearly 130 patients across the country who have been diagnosed with AFM. 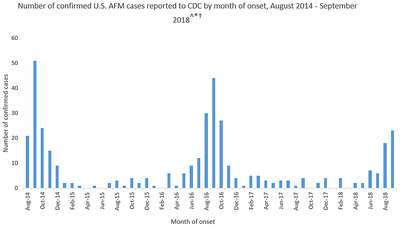 Medical researchers across the country have formed an informal network to figure out what’s causing an outbreak of acute flaccid myelitis (AFM) cases. While the CDC won’t say what is causing the new outbreak, NBC News spoke to doctors and researchers treating patients, and they believe the uptick in cases is likely due to a virus called enterovirus D68, or EV-D68. 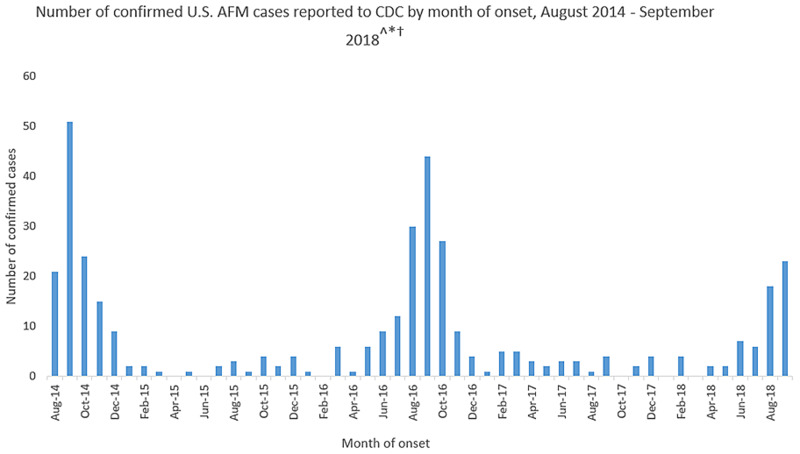 While the CDC says there hasn’t been enough evidence to link the two, the doctors interviewed say many of their AFM patients presented with EV-D68. 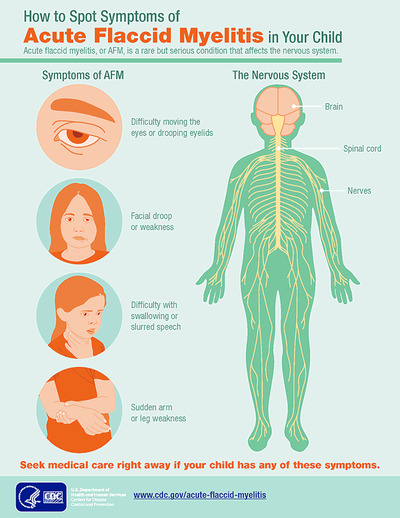 CDCThe number of Acute flaccid myelitis (AFM) appear to spike in August and September every two years, and researchers aren’t sure why. But Tyler admits that’s still not enough to blame EV-D68 for this most recent AFM outbreak, and that more research needs to be done. While AFM doesn’t have a cure, early detection appears to be helping children recover faster.